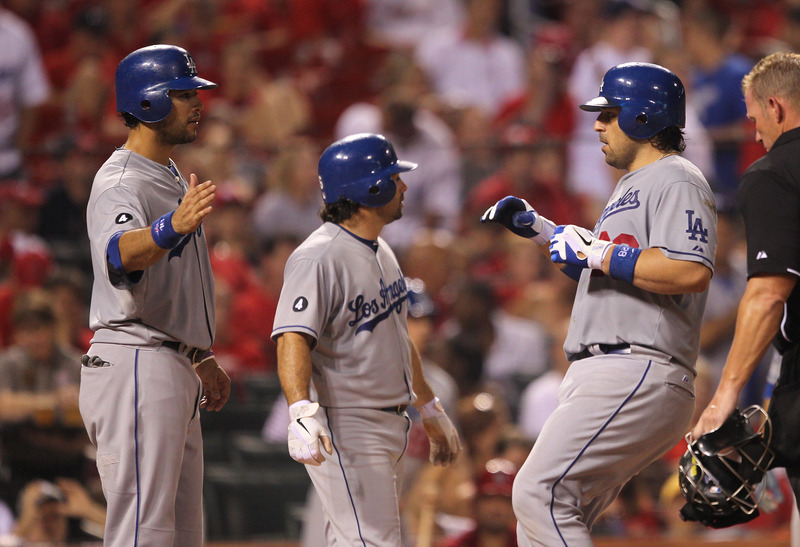 The Cardinals season appears to be slipping away, a 13-2 loss to the Dodgers. 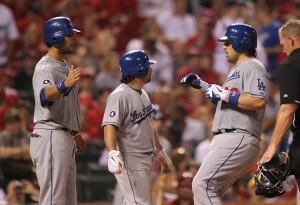 Kyle Lohse gave up a three run homer to Matt Kemp in the first and was charged with eight runs in three innings. Things got so bad, Skip Schumaker was called on to pitch in the ninth. The Cardinals have lost six of eight and dropped a season-high 10 games behind the NL Central-leading Brewers with 33 games to go. Tony LaRussa concedes his team may have hit a wall. Dodgers’ pitcher Clayton Kershaw (16-5) is 8-1 with a 1.21 ERA in his last nine starts increasing NL-leading strikeout total to 207. The Cardinals threatened twice, but Kershaw struck out Matt Holliday and Lance Berkman with two on to end the first and struck out the side in the fourth to get out of a bases loaded jam, infield hit and walk. Kershaw threw over 100 pitches in just six innings, but had plenty of offensive support. Kemp also doubled and scored in the second and needs one homer to become the second player in franchise history with 30 homers and 30 steals. Catcher Rod Barajas is batting .381 (16 for 42) in August with five homers, three doubles and 16 RBIs in 13 games. He hit two homers and had four RBI.